On Tuesday night, the Orioles dropped their fourth game in a row as they lost to the Toronto Blue Jays, 8-6. With the loss, Baltimore has lost three straight series; however, they are still tied for first place in the American League East with the Tampa Bay Rays at 29-21. Once again, the Orioles got a shaky start from a pitcher – this time, Jake Arrieta – and much like Tommy Hunter, the previous night, he struggled. Overall, Arrieta got hit hard by the Jays, particularly in the third and fifth innings. He gave up seven runs – six earned – on six hits in only 4 1/3 innings pitched. I would consider Arrieta one of the more talented pitchers on the roster, and he’s got “good stuff”; however, none of that matters if you can’t make your pitches to put guys away. His record is now 2-6 on the year. He was not keeping the ball low in the zone, and a team like Toronto who likes to swing at the ball and kill it did just that on Tuesday. I’m sure Arrieta will get every chance to succeed, but if the Orioles are to contend, they will need a lot more than Wei-Yin Chen and Jason Hammel out there. Arrieta, Tommy Hunter (if he comes back), Brian Matusz, and all the other young pitchers will need to do their part and execute. I think the game is 80 to 90 percent pitching, and if Baltimore can’t do it on the mound, it won’t matter how many runs they score. It was a monumental day for the Baltimore Orioles on Sunday, as Adam Jones finally signed his new deal and held a press conference; however, they could not defeat the Royals on Sunday. Kansas City would win by a score of 4-2, and Baltimore could not take the three game series. They are tied with the Tampa Bay Rays for first place in the American League East with a record of 29-29. Brian Matusz started on the mound for Baltimore and has been fairly solid as of late, but he ran into some trouble on Sunday and paid for it. Matusz delivered a good workman’s effort; however, he got hurt by the long ball as Billy Butler homered in the first inning and Jeff Francoeur hit a solo homer in a two-run, sixth inning. 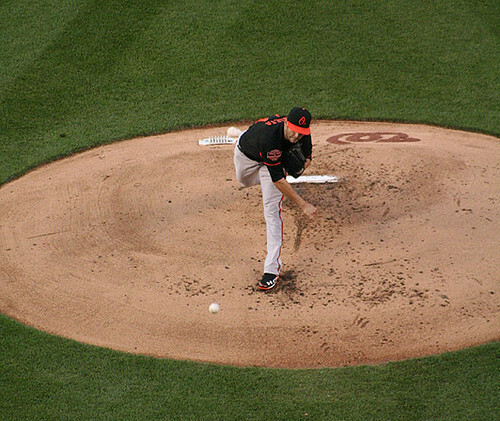 Matusz went six innings and gave up four runs – three earned – and took the loss. Considering where the southpaw was last year, Matusz is looking more and more like the pitcher we saw at the end of 2010. When it comes down to it, he needs to trust his stuff and show some consistency on the mound. Once Matusz does that start after start, he will be fine. For the Orioles, they just could not score more than two runs despite having a considerable number of baserunners during the first half of the game; however, after Baltimore knocked out Kansas City’s Luke Hochevar, who started the game, they were shut down offensively. Five Royals’ pitchers stifled the Orioles, and Tim Collins got the win in relief. Baltimore got their runs in the first inning off a Nick Markakis RBI-double and also during the fourth off Xavier Avery’s single. 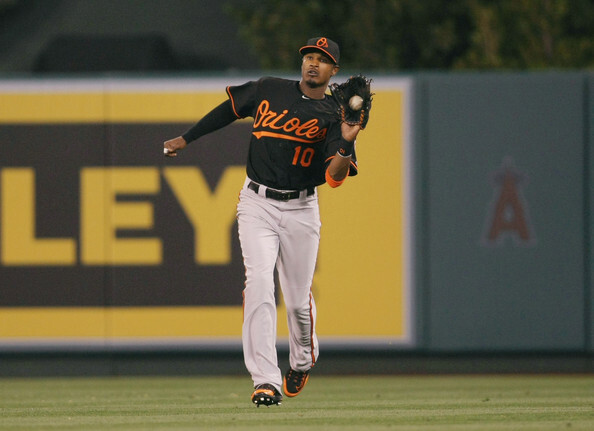 Adam Jones – who is now the Orioles’ $85 million dollar man – extended his hitting streak to 18 games. He had one hit on the afternoon. Sunday’s attendance at Camden Yards was 33,919 – a remarkably solid number and a testament to the area’s renewed interest with the Birds. The Orioles once again have a gauntlet to go through in the next two weeks as they face the Toronto Blue Jays, Boston Red Sox, Tampa Bay Rays and the Philadelphia Phillies – all in succession. Once again, we’ll get a solid read on the team and what they are made of in the days to come. The Orioles once again have a rough patch in the schedule, and if they can win more than they lose in that period – it will be intriguing to see what moves are made heading into July. They have surprised everyone so far, and let’s hope the good times continue to roll. This evening during the game, MASN's Roch Kubatko reported the news that many fans were awaiting -- Adam Jones' contract extension is now official. It was only a matter of time before a deal was done, and the day came. 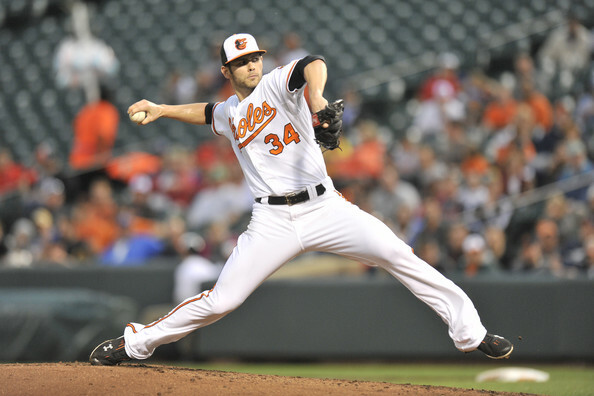 Jones and the Baltimore Orioles agreed to a six-year, $85.5 million contract extension according to the Baltimore Sun. As reported by the local media, the deal for Jones is the largest in franchise history. He will not be a free agent until 2018, and the deal buys out his final year of arbitration, plus the first five of his free agent years. Also, the Orioles.com Brittany Ghiroli reports that, "the contract includes a no-trade provision, and escalators can bring the value of the extension to $91.5 million." There will be a press conference on Sunday at Oriole Park at Camden Yards. The Orioles in the month of May had quite a gauntlet to go through with the quality of teams that they played against. One could say that they have passed that test with flying colors by virtue of being in first place on Memorial Day weekend in the American League East. The flighted ones had a day off on Thirsday, and on Friday, they faced the lowly Kansas City Royals. When all was said and done, the Orioles – thanks to a combination of great, the longball, and taking of advantage of mistakes – defeated the Royals, 8-2, to take the first contest of a three-game set. They are now 29-17 and lead the division by a game over the Tampa Bay Rays. Jason Hammel – who had been ailing with a bad knee over the past few weeks – was stellar, going six shutout innings, gave up five hits and struck out seven. He ran up his pitch count to over 100 by the time he was done, and could not go much deeper. Hammel did allow a good number of Royals to reach base; however, he was able to the strikeout, and his defense – a leaping catch by J.J. Hardy was golden – to quash a rally. The Orioles only real mistake came in the eighth inning, as Stu Pomeranz – who was recalled from Triple-A Norfolk – allowed a two-run homer to Jeff Francoeur. Baltimore’s offense came alive as Chris Davis had a strong game, driving in three and hitting a monster two-run homer in the seventh inning - his 7th of the season. Nick Markakis has three hits – two doubles; Adam Jones and J.J. Hardy each drove in two and Robert Andino scored twice. BALTIMORE -- The Orioles have agreed to terms on a Minor League contract with veteran reliever J.C. Romer o, the club announced on Thursday, and Romero is expected to report to Triple-A Norfolk. Orioles executive vice president of baseball operations Dan Duquette said Tuesday that the club was still actively seeking ways to upgrade and add depth to the pitching staff, and Romero fills a need: another lefty reliever to go along with Zach Philips. The O's bullpen currently has two lefties in Troy Patton and Dana Eveland. 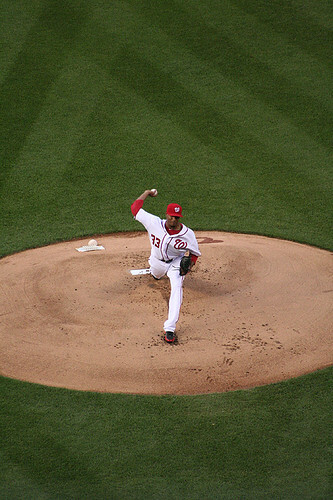 Romero previously pitched for the Philadelphia Phillies from 2007-11, posting a combined 2.73 ERA along with notable postseason success in '08. He was suspended for the first 50 games of 2009 for taking a banned supplement, and was released by the Phillies in 2011. Romero then latched on with Minor League deals for the Washington Nationals, New York Yankees and Colorado Rockies -- with whom he pitched to a 4.32 ERA in 11 big league games -- before making the Cardinals this spring. In 14 Major League seasons, Romero is 34-28 with a 4.15 ERA. Ok, Romero perhaps is very close to the end of his solid career. Obviously, he would provide some depth in the minors and could be summoned to the majors in case of injury or whatever. This is a piece I wrote for MASN Sports this morning. I've got a feeling this is going to be a hot topic for quite a while. As we all know, veteran Orioles second baseman Brian Roberts returned to competitive baseball last night as he played three innings for the Double-A Bowie Baysox last night. Roberts is playing for the Baysox as part of a rehabilitation assignment. He's missed much of the past two seasons dealing with post-concussion syndrome issues and other injuries. His Wednesday night was pretty mundane , as he walked in both his plate appearances and made some routine plays in the field. No matter what you think about Roberts and whether or not it is a good move to let him attempt to have a role on the Orioles, he could serve as a catalyst for the team moving forward. Well, that's assuming if he can return to the form that made him an All-Star multiple times and show that his skills have not eroded from missing more than a year with concussion symptoms. Keep in mind, Roberts is 34. The sport of baseball, as we have seen over the past few years, has transitioned to a much younger man's game due to drug testing, the eradication of some substances from the game and the emphasis on getting better value out of prospects. From this point forward, Roberts will be watched closely by everyone - from the front office and media down to the Orioles' fan base hoping for a winning season after 14 frustrating years. Over the past few years, he has obviously become a lightning rod for a group of fans. Some people thought Roberts was stealing millions from the Orioles for his lack of productivity for the past two years; furthermore, there's a minority who have accused him of grand larceny despite being out due to injury. However, it's fairly obviously loves the game and it undoubtedly was killing him that he could not play. Frankly, I did not even think Roberts would make it this far this soon. It seems like most didn't, either. We all could see the emotion on his face during interviews and in various media reports. He's been pretty much at every home game this season, rooting on his team, trying to be a part of things, acting as a de-facto coach in the dugout. However, if Roberts was to come back and play during the 2012 season, would he ever be the same? Considering the amount Roberts has left on his contract, plus his service time and reputation within the organization, he will get every opportunity to show that he can play. The Orioles will host a special Military Appreciation day on Sunday, May 27 for their game against the Kansas City Royals. All Orioles uniformed personnel will wear special jerseys with the Orioles script in camouflage and numbers and names in dark green. The game-worn jerseys will be autographed, authenticated and auctioned off at www.orioles.com/military to benefit the Fort Meade Alliance's Foundation. The Fort Meade Alliance is an independent community organization designed to promote the well being of the region. The alliance's foundation is undertaking a fundraising effort to support resiliency programs for military, civilians, and their families at Ft. Meade. The online auction will begin on Sunday, May 27 at noon and will conclude Sunday, June 3 at 11:59 p.m. The Orioles will also welcome the US Army Drill Team from the 3rd US Infantry Regiment (The Old Guard) stationed at Ft. Myer, VA to perform prior to Sunday's 1:35 p.m. game. The team has earned international acclaim for their routines with bayonet-tipped 1903 Springfield rifles. In addition to the Drill Team, pre-game ceremonies include a ceremonial first pitch by Col. Edward Rothstein, the Ft. Meade Garrison Commander, Staff Sgt. Randy Wight with the US Army Field Band will sing the National Anthem, and the Color Guard will be the Armed Forces Color Guard from the Military District of Washington. During the National Anthem, nine service members will each take the field with a player. As part of Military Appreciation Day the Orioles have donated over 1,000 tickets to service members and their families from Ft. Meade. The Orioles will also continue the Military Sunday Suite program presented by Geico in which service members will enjoy a complimentary catered suite, meet with MATT WIETERS prior to the game and receive an Under Armour Wieters t-shirt. Finally, on Sunday, the first 10,000 fans 15 and over will receive an Orioles camouflage script t-shirt. Fans are encouraged to buy tickets in advance and arrive early to the ballpark. UMMS will team up again this year with Kelly and Associates Insurance Group and KTBS Payroll to donate $1,000 to the R Adams Cowley Shock Trauma Center for each Orioles save during the 2012 season. Last year, over $32,000 was donated to the center. Since 1996 Kelly and Associates Insurance Group and KTBS Payroll have donated over $650,000 to the Shock Trauma Center through the Saves for Shock Trauma program. On Sunday, May 27, the Orioles will recognize these efforts with a pre-game ceremony that includes Karen Doyle, Vice President of Nursing and Operations for the University of Maryland, Senator Frank Kelly and Eyasu Kelly who represent KTBS Payroll & Kelly and Associates Insurance Group and a member of the Orioles bullpen. On Wednesday, May 23, OriolesREACH, in partnership with MASN and WJZ-TV, will host the fifth annual Field Trip Day before the Orioles play the Boston Red Sox at 12:35 p.m. More than 6,400 students from local schools will be at Camden Yards to learn about the weather from WJZ TV'S First Warning Weather Team of Bob Turk, Bernadette Woods and Tim Williams. Orioles Head Groundskeeper Nicole Sherry and Chris Strong from the National Weather Service will speak to the students as well. Are the Orioles for real? Can they keep this up? Or are they pulling the wool over our eyes, and will the team that we've seen for the last 14 years make an appearance? Right now, I'd say they are for real. I am still having a hard time believing it. The Orioles are winning games that would not have won in the past, plus they are getting excellent starting pitching, timely clutch hitting and the bullpen has been phenomenal. They sit at 24-14 as of this morning and tied for first place with the Tampa Bay Rays in the American League East. However, it does not seem that fans have turned out Camden Yards in large numbers at all. I went to the Yankees-Orioles game Tuesday night with a co-worker, a buddy and some of his friends. My co-worker is a Yankees fan and it made for some interesting conversation during the evening. Although the forecast for that day was for rain to appear off and on in the area with thunderstorms, at game time, the weather was nothing short of wonderful. There were blue skies with some clouds in the air, and the temperature was in the high-70s. Alas, it seemed as if only half the ballpark was filled. It was surprising for my co-worker to see and he was completely dumfounded. Granted, it was only his second game ever at Camden Yards and he is a transplant from northern New Jersey. He said, "The Orioles are off to a hot start and they are beating up on everyone. Your park is beautiful, you all have great pitching, you're winning. It's a lovely night, but where the hell is everybody?" Well, the Orioles had to lose sometime, and it happened on Sunday as they lost to the Washington Nationals, 9-3, on Sunday afternoon. The Nationals salvaged a game in the regional rivalry and avoided a sweep in front of a bipartisan crowd of under 42,000 at Nationals Park. It was yet another beautiful day, but not so for the Orioles. The Orioles saw their nine-game road win streak come to end. They saw their five game win streak also cease. Sadly, Baltimore pitching could not save the day, nor could Jones, Markakis, Hardy and company spur the offense. Their record is now 27-15, and they still hold a two-game lead in the American League East. If there were any positives on Sunday for Baltimore, Xavier Avery and Chris Davis had two hits. Overall, the Battle of the Beltway series has given a boon to Orioles fans, as they are still enjoying the team’s remarkable run. It is good to see both the Orioles and Nationals contending at the top of their divisions and will hopefully bring a buzz to the region as summer heats up. The two teams will meet up again at Camden Yards in June. Despite building an early 3-0 lead, the Orioles could not hold it, as pitcher Stephen Strasburg and the Nationals offense ended their five-game win streak. Wei-Yin Chen lost his first game as an Oriole -- and in the majors -- as he got hit hard on Sunday. In the end, he gave up six runs in only 4 1/3 innings of work. Chen clearly struggled with his pin-point locations that we as fans have grown accustomed to seeing. The Nationals made him pay for it – dearly. The Orioles got three quick runs off Strasburg early, scoring once in the first inning off a Nick Markakis single. They added two more in the second inning as Robert Andino plated in a run with a groundout, and Xavier Avery had an RBI-single. Baltimore was aided by a whopping Bryce Harper error in left-center field; however, the offense for the Birds would die after that as Strasburg got into a groove and did not relent. Chen was rolling until the third inning, as he gave up three runs as Bryce Harper had a two-run triple and Ian Desmond plated Harper with a groundout. Nick Markakis nearly had a highlight reel moment as he nearly caught Harper’s drive to right; however, as he dove on the warning track, the ball popped out of his glove and Harper was off to the races. For the second straight game, the Baltimore Orioles defeated the Washington Nationals in another close game, this time, 6-5. They are now 27-14, and lead the American League East still by two games. There was another huge crowd for the game in Washington - well over 42,000 - and one has to think if both teams can stay the their respective divisional races, this area could be a hot bed of baseball. The Orioles have taken the first two games in the first go-round of 2012's 'Battle of the Beltways'. The duo of Adam Jones and Nick Markakis each hit two-run homers - in the third, and fifth respectively - to help the Orioles win their fourth straight in a row, and ninth on the road. Robertt Andino has a two run-double in the second inning; however, the Baltimore offense didn't do much after the fifth inning. Jones is on another level now and I don't know what to say or think. You saw flashes of brilliance during his first four years, but now he's putting it all together. He is a huge part of this team, obviously, and it looks like that he can carry the team on his shoulders if needed. Josh Hamilton seems to have gotten all the attention this month, but the national media should perhaps focus their glare on Jones now. Plus, it is good to see Nick Markakis coming around and getting his power stroke back. They sent Washington starter Ross Detwiler to the showers early, as he gave up six runs in five innings. His reaction to Markakis' homer - if you can find it on tape - is priceless. He would take the loss. 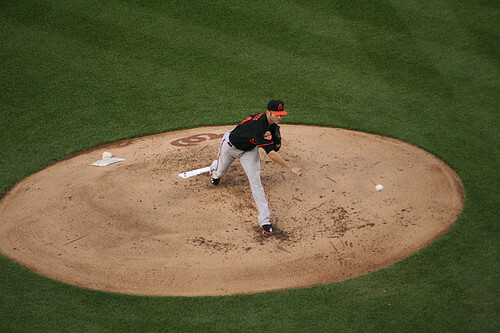 The Orioles’ Jason Hammel allowed four runs on six hits with two walks and five strikeouts over 5 1/3 innings to earn the win. Hammel stymied Washington until the fifth inning as Steve Lombardozzi’s RBI-single gave them their first run on the game. They would score three more in the sixth inning to come within two of Baltimore’s lead, 6-4, as Rick Ankiel plated in a run with an RBI-single, and then Carlos Maldonado drove in another run with a groundout. Roger Bernadina followed up with a single to plate Maldonado. The Nationals added some more intrigue towards the end of the game. 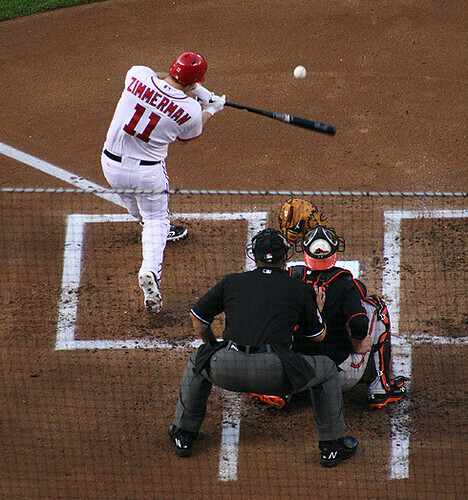 Ryan Zimmerman’s solo two-out home run - his second of 2012 - in the bottom of ninth off Baltimore closer Jim Johnson sent the ballpark into frenzy. That brought Washington within one run of tying the contest, 6-5; however, Adam LaRoche was retired on strikes and the game ended. The Baltimore Orioles continue to amaze, and they emerged victorious against the Washington Nationals, 2-1, in eleven innings on Friday night. With the game tied at one, Nick Markakis’ solo homer in the 11th inning off reliever Ryan Mattheus made the difference for the Birds. They are now 26-14 and lead the American League East by two full games. Kevin Gregg earned win by pitching a scoreless 10th inning, and Pedro Strop earned the save, his third of the season. The Orioles could found themselves losing to the Nationals in the final innings; however, impressive double plays in 10 and 11th, helped greatly – especially Chris Davis starting an impressive 3-6-3 double in the deciding frame. If fans expected a pitching duel, they got one on Friday night as Washington’s Jake Arrieta and Baltimore’s Jake Arrieta put on a show. Baltimore scored their first run of the game off Washington starter Edwin Jackson off an Adam Jones RBI-infield single – which went off the mound and Jackson’s foot – that plated Xavier Avery. However, after that, Jackson dominated the Orioles. He went eight innings and allowed only a run. For Baltimore, Jake Arrieta was straight up dealing as well, going seven innings and too only allowing a run. He struck out nine, and looked flat-out like an ace. His only mistake came in the sixth inning as he gave up a home run to Ian Desmond. It was the sixth of the season. He looked much better on Friday night than in his previous outing. Arrieta kept his team in the game, and the bullpen – Darren O’Day, Troy Patton, Gregg and Strop – handled the rest like they pretty much have the entire season. The Orioles once again played an extra-inning game, and came back. They have won four in a row, and eight straight road games. I don’t know how much longer the winning can be sustained, but the Orioles – much like in the days of Earl Weaver – are relying on pitching, defense, and the homer (ok, not the three-run). Well, it’s “Battle of the Beltways” weekend again as the Baltimore Orioles take on the Washington Nationals in the nation’s capital; however, this time both teams are good – at the same time. In June, the Nationals will travel up to Oriole Park at Camden Yards to square off against the Birds. It seems that most people who I know are Orioles fans are indifferent to the Nationals; meanwhile, quite a few Nationals fans that I know still follow the Orioles somewhat. Well, I like going to Nationals games – as I love the National League style of ball – have friends who root for the team, and simply like baseball. 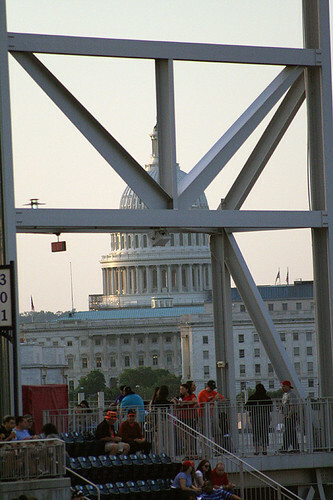 Really, most Nationals fans that dislike the Orioles do so mainly because of ownership – mainly Peter Angelos – trying to keep the team of Washington D.C.
It’s not like anyone in D.C. hates the Baltimore Orioles because they are the Baltimore Orioles. The ‘O’ chant rankles a lot of fans in the D.C. area, but it is what it is. Even I think it is disrespectful to a certain point to during the national anthem. Anyhow, both teams have very compelling story lines taking place so far. The Nationals are contenders in the National League after being a second division team since their arrival in the region. Furthermore, they are floating near the top of the National League, and have some excellent starting pitching, plus two big draws in Stephen Strasburg and Bryce Harper. On the other hand, the Orioles – after being doormats for the last fourteen years – are atop the American League East and are 11 games over .500. Finally, if you're getting ready for summer and looking for clearance boat seats for either your journey on the water; affordable medicine balls for the next killer workout with your trainer, or hoping for your kind to become the next best lacrosse rebounder, check out Sports & Outdoors from Become.com! The Orioles are fortunate to be surrounded by dedicated military personnel throughout the region, and the organization is grateful for all of those who risk their lives each day for our country. In that spirit, as we approach Memorial Day, the club is proud to announce a variety of ticket programs that offer support for military members and their families. • TICKET DISCOUNTS AT EVERY GAME The Orioles extend a $3 discount off of all tickets for all military (active, retired and reserve) and their families, available at the Oriole Park Box Office. Even more significant discounts for military members can be arranged by contacting their ITT/Leisure Travel office. For every non-prime Sunday home game, members of the military (active, retired and reserve) can purchase Buy One, Get One Free tickets in select seating sections through their ITT/Leisure Travel office. Every Sunday home game, the Orioles, in partnership with Geico, will donate a catered private suite to wounded soldiers and other active military groups and their families. Guests will also be treated to a special player meet and greet before the game, recognition after the playing of "God Bless America" and will receive Orioles player t-shirts courtesy of Under Armour. Participating players include JAKE ARRIETA, ZACH BRITTON, TOMMY HUNTER, JIM JOHNSON, NICK MARKAKIS, BRIAN MATUSZ, MARK REYNOLDS and MATT WIETERS. A number of guests from Walter Reed National Military Medical Center and Fort Belvoir Community Hospital have already attended several games this season. All Active Duty Personnel are encouraged to show their active duty ID badge to receive a complimentary Orioles cap at the Fan Assistance Center in the Warehouse at any home game. The Orioles are proud to offer free "Welcome Home" messages on Oriole Park's MASNvision scoreboard for all active military personal returning home from duty. To find out more information, or to reserve a message for an upcoming game, call 888-848-BIRD. 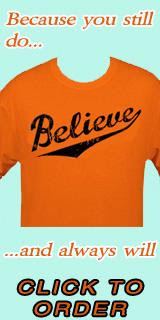 We are almost at the quarter-pole of the 2012 season, and the Orioles – yes – are still rolling. This afternoon, the Orioles won their third game in a row, and swept the Royals, defeating them, 5-3, in amazing fashion. They are now an astounding 25-14 so far this season and they have the best record in baseball. Once again, the Orioles found themselves in a hole; however, they dug themselves out of it. I’m not sure how they are doing it, but they are playing all 27 outs and doing things the right way. The Orioles have been rebuilding for a long time, and it has taken a lot of patience on the part of us fans to see the rewards. Baltimore fell behind 3-0 to Kansas City in the early part of the game, but they started to turn it on in the fourth inning. Adam Jones hit his 13th homer in that frame – a two-run shot; however, the Orioles killed it in the seventh inning as Chris Davis, who has been struggling big time, singled to center and advanced Wilson Betemit to second. Kansas City’s Jarrod Dyson inexplicably misplayed Davis’ single – which was roped to him – and allowed the ball to get to the warning track. Betemit scored, and a few minutes later, J.J. Hardy came through with a two-run single to plate Davis and Xavier Avery. Dyson’s play might have the Orioles the momentum they needed. Like all strong teams do, they took advantage and did not look back. Well, it’s safe to assume that we are seeing the best of Adam Jones these days. At this point, do the Orioles consider extending him now? I think Jones has now taken his game to another level. Last night showed it. Anyhow, last night, Adam Jones’ solo shot in the 15th inning broke a 3-3 tie and sent the Baltimore to victory Thursday morning. He had struggled for much of night, and didn’t have a hit until that point. He now has 12 homers on the season, and the decision to make him the cleanup and focal point of the offense is paying off big time for Baltimore. Once again, the Orioles – when they looked down and out – clawed back into a game late and won. Ok, so it took a while. Honestly, I went to bed long before the game finished and woke up early this morning surprised at the result. Pleasantly so. Now, it’s gotten to the point where we assume the Orioles can storm back and win instead of fold. They came back after struggling most of the night against Royals starter Felipe Paulino, who just dominated the Orioles for seven innings; however, they started chipping their way back into the game as Nick Markakis plated in a run in the eighth, and the Orioles got two more runs in the ninth off a Wilson Betemit homer – his eighth – and J.J. Hardy’s RBI-single. Kevin Gregg – who pitched two innings of relief – got his first win of the season and Jim Johnson earned his 13th save of the season. If anything, the bullpen also served as heroes of the game too. Troy Patton gave up a crucial run in the eighth inning when the Orioles still trailed; however, the rest of the corps – Darren O’Day, Dana Eveland, Gregg and Johnson – kept the Royals off the board. Tommy Hunter, who started on the mound for Baltimore, had one of his best outings of the season, but didn’t factor in the decision. He went seven innings, and didn’t give up anything until the fifth inning as Humberto Quintero plated in two runs. I wrote this for MASNSports.com last week. As we are seven weeks into the 2012 season, the Orioles are flying high with a 19-11 record, and are a half-game out of first in the American League East. Baltimore's fast start has given players like Matt Wieters, Adam Jones and Chris Davis some national attention. However, one name that I don't see mentioned a lot happens to be right-fielder Nick Markakis. It's almost like he has become an afterthought at this point. Now, Markakis did win a Gold Glove last season, and has always been the steady type when it comes to fielding. However, his work at the plate has left a lot of questions over the past few seasons. As of this morning, he is batting .246 with a .326 on-base percentage, .733 OPS, with four home runs and 13 RBIs. These numbers are decent for the average ballplayer a month into the season; however, it seems that we all as fans seem to want more of Markakis. Overall, Markakis is a .294 lifetime hitter with a .364 OBP, .815 OPS, with 108 homers and 508 RBIs. Obviously, he has done fairly well throughout his career. Alas, what Markakis did in prior years in comparison to the last couple has left many wondering if the slugger will ever live up to the promise he showed as a young player. Is he - gasp - perhaps regressing and not going forward? In the offseason, I questioned a lot of Dan Duquette’s moves – especially Wei-Yin Chen. Honestly, it was to be determined what Chen brought to the table with the Orioles and fans were intrigued what he could do in the majors, most notably against the beasts of the American League East. So far, Chen is passing the test. In fact, he may be singularly well the best pickup that Duquette has had throughout the young season so far. Although he does not throw all that hard – from the high 80’s to very low 90’s – Chen locates so well and paints the ‘black’ so effectively on either side of the plate. That being said, the Taiwanese southpaw earned his fourth win of the season and helped give the Baltimore Orioles the split over the Yankees in their brief two-game series. They defeated the Bronx Bombers, 5-2, in a masterful effort by Chen who allowed two runs on four hits in seven innings of work. Jim Johnson got the save, his 12th. The Orioles were significantly helped out by the double play – especially in the eighth and ninth innings, where the Yankees looked to possibly break things open. The Orioles are 23-14 and share the American League East lead with the Rays. The offense broke through against southpaw C.C. Sabathia, who was off on the night, and left many pitches in zone. Sabathia’s offerings were hit hard and times; therefore, he was tagged for four runs in six innings of work. The Baltimore Orioles were hoping for a three-game sweep over the Rays; however, that would not happen on a wild Mother’s Day game at Camden Yards. They lost 9-8 to Tampa Bay and nearly came back twice but could not produce any magic. The sweep of the Rays would not happen, but the Orioles fought back – again. Baltimore rebounded from a shaky Jake Arrieta start and was almost buried with the score at 7-1 at the start of the sixth inning. He only lasted 3 2/3 innings and looked terrible on the afternoon. However, the offense came alive and they came within a run of the lead, 7-6, after the seventh inning as Nick Markakis had two doubles in that period, and Matt Wieters hit a two-run homer. They would nearly cough up the game in top of the eighth inning as reliever Troy Patton gave up homers to Elliott Johnson and Ben Zobrist to give Tampa a 9-6 advantage; however, the Orioles would get a run back after Nick Johnson homered for the second time this season. The Orioles, who were down 9-7, to start the bottom of the ninth got a run back as Adam Jones scored on a Sean Rodriguez throwing error; however, they could not complete the comeback as Matt Wieters grounded out to end the contest. Baltimore is 22-13 right now and lead the American League East by a game. I’m still surprised by the way the Orioles are playing, and came away impressed how they played all twenty-seven outs. Yet another day, another move for the Orioles. This time, they promote an outfielder, Xavier Avery, one of their better prospects to the majors. Not sure how long he will up in Baltimore, but should be starting today. If Avery plays well, he might be up in the majors for a while. The Orioles have won eight of their last 12 games. At the end of April Orioles fans were looking at this 15-game stretch and thought: "this is it, this is when it all comes crashing down." For many people just sneaking out five or six games would have been enough. The prospect of actually coming out ahead during this series, winning at least eight seemed alien and wrong. We are Orioles fans, after April we were willing to think more positively but the thought of this team being legitimately good, well that was just silly. The The thought that the Baltimore Orioles would be on the tail end of this stretch of games more than 10 games over .500, in first place after playing the Yankees, Red Sox, Rangers and Rays with only one day off and a string of nagging injuries; that was little more than the fevered dream of a madman. And here we are. The Orioles have won eight games, they are guaranteed to finish this reality stretch with a better record then when they started. They have a very good shot of still being in first place at the end of the stretch. If the Orioles win today, then they will be guaranteed to finish this stretch at least 10 games over .500. The Orioles have taken all comers, and despite getting roughed up a bit by the Texas Josh Hamiltons, they have met every challenge that they have faced. Today the Orioles look to sweep the Tampa Bay Rays in Baltimore and open up a three-game lead in the AL East. The Yankees will come into town on Monday night as they look to get their scatter-shot season back on track. The Orioles are playing great ball right now and it is beginning to translate in the stands. Last night the Orioles drew over 30 thousand to the yard and they were into the game. The energy was palpable. It was not a playoff level intensity but everyone in that stadium knew what was going on. A fanbase that has been burned so many times before, with memories of 2005 still seared into their minds, wants to believe in this team so badly. As I sat in traffic going home from the game, the crowd that was still leaving was walking past my car high-fiving me and the three other drivers behind - Orioles fans are a very happy bunch right now. The Baltimore Orioles continue to roll as they are one-fifth through the season, and it is one great thing to see. They won their second straight game and downed the Rays, 5-3, at Oriole Park at Camden Yards in front of an announced 32,862 fans on a wonderful night for a ballgame. It’s good to see the fans come back to the park, as the Orioles got a huge walkup crowd for Saturday’s contest. Baltimore is now 22-10 and lead the American League East by two games. Well, the Rays made five errors, and the Orioles did what good teams do – took advantage of the situation. Adam Jones drove in two runs, and Bill Hall – in his first game as an Oriole and in the majors this season – hit a home run which gave his team some breathing room in the eighth inning. Brian Matsuz, who struggled in his last start, delivered on the mound, going 5 2/3 innings and gave up three runs – two earned. His control was much better, as were the pitches as well. He struck out five, walked one, and gave up seven hits. His numbers could have looked better; however, Steve Tolleson’s error in the sixth inning allowed two Rays to score moments later as Luke Scott hit an up-the-middle single. Matusz is now 2-4 on the season. The Oriole bullpen kept the Rays at bay at Luis Ayala pitched 1 1/3 innings, Pedro Strop was solid in the eighth, and Jim Johnson pitched a scoreless ninth for his eleventh save. Ah, it's another day; therefore, the Orioles made yet another move with their roster. Today, we learned that Mark Reynolds was placed on the disabled list as he pulled a muscle in his rib cage. It seems like the Orioles are nothing short of a walking M.A.S.H. unit right now. BALTIMORE -- The Baltimore Orioles have placed third baseman Mark Reynolds on the team's rapidly expanding 15-day disabled list. Reynolds has a pulled muscle in his rib cage. He is batting .191 with two homers and nine RBIs. The injury occurred during batting practice Friday, manager Buck Showalter said. Reynolds said Saturday, "It's not too bad, but it's one of those things where if I push it it'll get worse." Reynolds is the third player placed on the DL by the Orioles in a three-day span. Outfielder Endy Chavez (left oblique) was shelved on Thursday and reliever Matt Lindstrom (middle finger) was added to the list Friday. In his place, the Orioles have called up longtime veteran Bill Hall. I'm sure he will pay wherever is needed. Hall can play the infield and outfield. However, in order to make room for Hall on the 40-man roster, pitcher Brad Bergesen was DFA'ed. That’s it. I can’t deny it anymore. The Orioles are real; to deny it at this point is to deny math, logic and reality. The Birds did get beaten up by the Rangers a bit, but who hasn’t. The Orioles still have the second-best record in the American League, lead the league in homers, are getting solid starting pitching and shut down bullpen work. This is not a fluke. Repeat, this is not a fluke. I am completely comfortable making this declaration, I am not worried about jinxing anything or anyone. The Orioles are just good. Fact: The Orioles have won 13 of their last 14 games. That includes series wins against New York, Oakland, Chicago and Toronto. It includes a series sweep in Boston, despite Boston’s woes the Orioles made a real statement that weekend. Fact: The Orioles went on the road through New York and Boston and won five of six. In addition, the one game they lost the Birds lost by a score of 2-1. Fact: This is not a function of a weak schedule. The Orioles have the second-highest RPI in baseball behind only the Texas Rangers. Not good enough? The Orioles have played the third toughest schedule in the American League, behind the Mariners and White Sox. The current Orioles renaissance is not due to a weak schedule, even if the Red Sox have collapsed early-on. Opinion: The Orioles aren’t doing anything that seems drastically unsustainable. The Orioles are simply playing very solid baseball. The bullpen is starting to give up a couple runs, but they are still playing very well. The Orioles have hit a hiccup with some rotation issues, but Dana Eveland was more than serviceable and the Birds have played some roster roulette the past week but it all seems to be working. Take the Washington Nationals, their pitching is out of its mind right now, but it is ultimately unsustainable. Their offense isn’t scoring runs reliably and currently have scored the fourth fewest runs in the National League. Their pitching staff will continue to be good, but unless they stat getting their offense in line they will be vulnerable as the year rolls on. The Orioles are scoring runs, but not at an eye-popping rate, the rotation and bullpen have been great, but not historically great. I’m not sure what is happening with the Orioles; however, they are finding ways to win, and Friday night was another example of it. The Orioles – again – pulled out another come-from-behind victory, as they downed the Rays, 4-3, to kick off the first contest of a three-game set. If there was a must-win game in May, this might have been it as the Orioles and Rays were tied for the American League East lead on Friday with a record of 20-12. With the victory tonight, the Orioles are an astounding 21-12 on May 12th and hold sole possession of first place in the American League East. If the Orioles can take two-out-of-three games from the Rays, they will be incredible shape heading into a showdown next week with the Yankees, Royals and Nationals. Nick Johnson – yes, the guy many wanted off the team in April – has been hitting well in May, and he helped propel Baltimore to victory with a go-ahead, two run homer in the seventh inning off Tampa reliever Joel Peralta. They were down 3-2 before his shot, took the lead and did not look back. Johnson does have a long, dubious injury history; however, when healthy, the man can swing a bat, get on base and is a ballplayer. Perhaps everything is now coming together for him, and if that is the case, the Orioles do have a valuable player on their hands. Adam Jones and Nick Markakis also came through as they hit homers – solo shots – to also help the Orioles. They were held to only two runs by starting pitcher Jeremy Hellickson, who went 6 2/3 innings and gave up three runs before the Tampa bullpen took over. Peralta, who blew the save when Johnson homered, took the loss. The Oriole bullpen was solid once again as Darren O’Day earned the victory, Pedro Strop threw a scoreless eighth inning, and Jim Johnson earned his 10th save of the year. He is a perfect 10-for-10 in save opportunities this season. On Thursday, the Orioles managed to split their single-game doubleheader with the Rangers; however, much like on Tuesday, history was made – again. In game one, the Orioles won 6-5, as they homered five times off Texas starter Colby Lewis. They started the game off with three consecutive homers from Ryan Flaherty, J.J. Hardy and Nick Markakis and Adam Jones along with Matt Wieters joined in the fun. All the hits by Baltimore were homers. Lewis’s feat – that is, serving up the home runs, plus striking out 12 – was the first time any pitcher gave up five homers and struck out more than 10 batters since 1918. Weird. He was too effective at a point, sitting down 18 straight batters. The Orioles would not give up the lead; however, things became extremely compelling in the ninth inning as the bullpen gave up three runs as Luis Ayala allowed two runners to reach base. Afterwards, Jim Johnson was summoned into action and gave up a three-run homer to David Murphy. He would strike out Elvis Andrus to end the game and get the save – his ninth on the year. Wei-Yin Chen would earn the win with another solid outing, going 7 2/3 innings and only allowing two runs. In the second game, things did not go so well for Baltimore, despite it looking promising early. Baltimore lost 7-3, and despite holding a 3-2 lead after the third inning -- as Texas helped them out with three errors in the second inning – they got shelled by the swinging Rangers again. 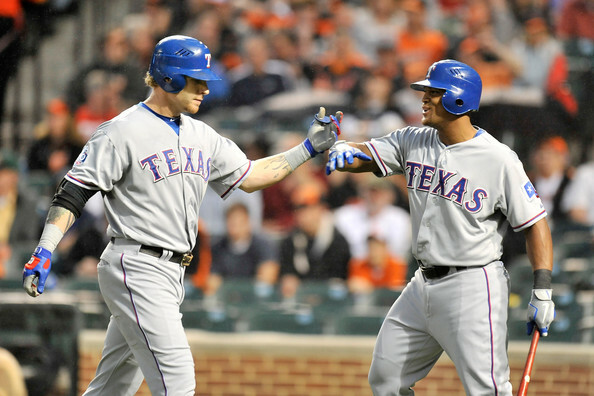 Tommy Hunter was ineffective, and Josh Hamilton homered again – for the sixth time in the series. Although the Orioles lost three out of four to the Rangers, they should have no shame in doing so. They still hold a share of first place in the division with the Tampa Bay Rays. Both teams are 20-12 heading into tonight. The Orioles today unveiled the BIRDLAND PASSPORT program, which will reward fans who visit Oriole Park at Camden Yards and the Orioles’ local minor league affiliates. All five minor league affiliates – the Norfolk Tides, Bowie Baysox, Frederick Keys, Delmarva Shorebirds and Aberdeen IronBirds – are participating in the program. "The program is designed to encourage our fans to frequent not only Oriole Park at Camden Yards, but also all of our minor league affiliates’ ballparks, which are all within a short drive from Baltimore,” said Orioles Director of Communications GREG BADER. “Baseball is the most affordable sport and is the perfect family outing. We hope the Birdland Passport prompts fans to visit each of this region's great ballparks." Fans can pick up a complimentary passport by signing up at the Fan Assistance Center in the Warehouse at Oriole Park at Camden Yards or at any of the five minor league ballparks. Fans who visit five of the Mid-Atlantic region’s six Orioles affiliated ballparks will receive a limited edition Birdland Roadtrip T-shirt (one per customer and per passport). Those who visit all six in one year will be entered to win a trip for two to spring training in Sarasota, Florida in 2013. More information on the program is available at www.orioles.com/passport. Single-admission doubleheader scheduled for tomorrow at 4:05 p.m.
Tonight’s game between the Orioles and Texas Rangers has been postponed due to rain. The teams will play a single-admission doubleheader tomorrow beginning at 4:05 p.m., with all gates opening at 3:00. Game two will not start before 7:05. Tickets for tonight’s game may be exchanged for seats of equal value for tomorrow’s doubleheader or any remaining non-prime home game during the 2012 season, subject to availability. Ticket exchanges must be made by June 30. The Oriole Park Box Office will open at 9:00 a.m. tomorrow. Tickets for tomorrow’s game will be valid for both games of the doubleheader. After an incredibly successful road trip, could the magic the Orioles have over the New York Yankees and Red Sox faded? The Orioles – especially after their crazy weekend in a sweep over the Red Sox – have gained the attention of the baseball world and long-awaited press – both in print, online and on TV. Well, we do not know for sure; however, everyone knew that the Texas Rangers would be a tough customer, and so far they have been. After solid pitching so far this season, the Orioles have gotten hammered by the bats of the Rangers, as they have given up twenty-four runs (!) in two games. For the second time in as many nights, the Orioles lost to the Texas Rangers, by a score of 10-3. The Rangers – unlike the Red Sox and Yankees – have a seemingly far more complete squad and perhaps may have been the best challenge the Orioles have had this young season. Slugger Josh Hamilton made sure of that. Obviously, he is one of the best hitters in the game today; however, he was nothing short of remarkable on Tuesday. He would hit four homers on the night off Baltimore pitching and drove in seven of Texas’ runs. His feat – hitting four homers – was only the 16th time in all of baseball history that has been done. The Rangers came out swinging early, and they had built a 5-0 lead by the end of the third inning, as they teed off on Oriole starting pitcher Jake Arrieta. Hamilton homered in each of his first two at-bats, and Adrian Beltre homered in the third inning. Yes, Arrieta did settle down after that; however, the damage was pretty much already done. He went 6 1/3 innings on the night and allowed six runs. Back to Hamilton – what can you say? After times of trouble in the offseason, and seeing talks stall on a new deal, he is off to an amazing start. Whether Hamilton is healthy, or inspired by a chance to earn a bigger pay day, he’s killing it this season and is definitely one of the top three players in the game at plate right now. On Tuesday night, Hamilton seemed to be hitting the ball at will. He treated Arrieta as if he was pitching batting practice. In the seventh inning, he hit a three-run shot off a reliever Zach Phillips. It was quite amazing to see that. Former reliever-turned-starter Neftali Feliz stymied Baltimore, as he went six innings, struck out eight and allowed four hits. He was bringing it all night with a fastball in the mid-to-upper 90’s and stymied the Orioles for much of Tuesday night. The Orioles got their first run off of Felix in the sixth inning as Nick Markakis plated in Endy Chavez – who reached on a double. Other than that, they didn’t have much else offensively on the night until very late in the contest. The Orioles have announced new promotions to accompany the free MLB.com At the Ballpark application at Camden Yards during the 2012 season. At the Ballpark offers mobile check-in, social media, special offers, rewards and exclusive content for anyone with an Android or iOS device. Incentives for fans to "check-in" using At the Ballpark include many new promotions for the 20th Anniversary season of Camden Yards. First, an "I'm Checked In" T-shirt for the first 20 fans who check in and visit Fan Assistance behind home plate each game to claim their prize. Second, the 20th fan to check in each game will unlock an opportunity to upgrade their seats to a Field Box location. Finally, the first 20 fans who check in to at least 20 games at Oriole Park using the application by September 13 will unlock an offer for the opportunity to watch batting practice from the field at a future game. More information on MLB.com At the Ballpark is available at www.orioles.com/checkin. There was more bullpen shuffling done before today's game. I guess with the long game on Sunday, ples everything else, the team needs some fresh arms. Phillips, 25, has recorded three saves and pitched to a 4.15 ERA (13.0IP, 6ER) in nine games for the Tides this season. He pitched to a 1.13 ERA (8.0IP, ER) for the Orioles in 10 games last season after being acquired from Texas on July 19. Berken, 28, allowed seven runs (two earned) in one inning of work last night in his first appearance of the season for the Orioles. The magic for the Orioles did not manifest itself tonight against the Texas Rangers in the start of their four-game set. After yesterday's win, everyone in the region was happy about the Orioles' recent run and were hoping for it to continue against the formidable Rangers; however, baseball can be a humbling game. There were no miracle comebacks, dazzling pitching performances or seeing the offense break through again for Baltimore, as they lost to Texas, 14-7. Both the Rangers and Orioles are 19-10. Baltimore is tied with the Tampa Bay Rays for first place in the American League East. The Orioles saw their five game win streak end, and the Rangers jumped all over Brian Matusz, who gave seven earned runs in five innings. You have got to wonder if Brian Matusz will be the next pitcher sent down to Norfolk, as Tommy Hunter was demoted. He can not last at the major league level much longer there’s not any consistency at all whatsoever from start to start. Matusz was not consistent at all from frame to frame on Monday, and a loaded Texas squad – plus with former Oriole Brandon Snyder, who drove in six runs – made him pay. How About 'Dem Orioles? The Texas Rangers are on the docket and is the AL East Wide Open? Morning all. How about 'dem Birds? So much for this portion of the schedule being a gauntlet for the Orioles. Just amazing. I'm still trying to wrap my head around yesterday's crazy, improbable and ridiculous victory. The game will be considered an epic if the Orioles can play deep into the summer and still remain atop the American League East. The Baltimore Orioles are back at home at Camden Yards after an amazing road trip, going 5-1 against both the New York Yankees and Boston Red Sox. They host the Texas Rangers in a four-game series starting tonight. The Rangers, as we all know are defending American League champions, and are a tough customer. They are 18-10, lead the American League West by 3.5 games, and boast a solid roster. Although they lost two out of three games to the Cleveland Indians over the weekend, they are always formidable, and have a great combination of hitting and pitching. The Orioles will miss Yu Darvish - he pitched yesterday, and lost - however, they will see four excellent starters in Matt Harrison, Derek Holland, Neftali Feliz and Colby Lewis. The Baltimore Orioles beat the Boston Red Sox, 9-6, in 17 innings. This game was the most bizarre I've ever witnessed. I can't even recap this. If there was a game that needed a combined team effort -- this was it. Well, it only took six-plus hours to decide a winner, but this game was so fun to watch on TV. Chris Davis tosses two scoreless innings and wins? Craziness. He actually looked very good, struck out two and mixed up his speeds on the pitches. I'm not sure if he even knew what he was doing, but hey it's a win and he got the ball over the plate. For a guy who struck out five times in eight at bats, Davis sure came up big in a unexpected moment. Yes, folks, Chris Davis is a hero. Thank goodness he didn't get hurt. Every reliever was used. Even Kevin Gregg came in the game and threw two scoreless innings. I'm not sure if Buck Showalter planned things out this way - of course he didn't - but it was a miracle that Baltimore won today. The Orioles are making a joke of their so-called rough patch of the schedule. They are 5-0 in May, and won five out of six from the Yankees, plus the Red Sox. Baltimore is winning games now that they would have lost years ago. What in the world has been done to the Baltimore Orioles? I mean this in a good way. We are now in the month of May, and the Birds are still flying high thanks to another big win against the Red Sox, this time in dominant fashion. They defeated Boston, 8-2, thanks to a ridiculous seven-run third inning which featured home runs from Adam Jones and Mark Reynolds. They are now 18-9 on the season; meanwhile, Boston is 11-15. For a minute, I felt like I was watching the Orioles emulate the Yankees with a big inning. Yes, they might have been enormously aided by Boston starting pitcher Aaron Cook getting injured on a slide trying to protect home plate in the second inning; however, Baltimore took advantage and clobbered an opponent. Cook would get hammered for seven runs in his outing – only 2 2/3 innings long. For a change, instead of struggling for runs early and having a mount a rally late, the Orioles got down to business early and cruised. Jason Hammel won his fourth game of the season, as he went 6 2/3 innings and gave up two runs. The bullpen – Darren O’Day, Troy Patton, Matt Lindstrom, and Kevin Gregg (yes, he is still on the team) – took care of the rest. Well, for fans of the Orioles, the calendar has flipped from April to May and it has been a surprising season so far. As of this morning, the Orioles are flying high with a 16-9 record, and sit one game behind the first-place Tampa Bay Rays in the American League East standings. There are some very compelling and unexpected storylines in the game today, and the Orioles definitely qualify as of one them. Seriously, I do not think many fans, media or so-called experts thought that this team would sit near the top of the division this late into the season. Who knows how long Baltimore can stay competitive? But if the Orioles can play some consistent baseball and pitch well, it may be a compelling summer in these parts for a change. I was little skeptical about some the moves that Dan Duquette made, but he may be on to something. In fact, I figured the Orioles would be struggling right about now with the talent they have, the young pitching, plus the division they play in. Then again, you actually have to play the games, too. In the offseason, I predicted the Birds would see their win total in the sub-70s. If they keep playing at this rate, that will not happen. However, we've been fooled before. Do you remember 2005? OK, well the team was completely different and there were some mitigating circumstances that led to their freefall. We, as fans, have had our hopes built up - that year, the ones before that and during Baltimore's 14-year drought, only to see things crash. However, being a fan is sometimes all about blind faith and hoping for better days. The Baltimore Orioles won again, this time in Boston, to kick-off their three game set against the Red Sox, by a score of 6-4 in 13 innings. Baltimore has won three in row, and nine out of their past eleven games. If you thought they would be doing this well, perhaps you look at some free casino games from meilleurs casino en ligne. They are 17-9 so far this young season, and once again the bullpen came through in the clutch, tossing seven scoreless innings. As well, timely hitting played a big role – of course. Chris Davis’ RBI-single broke a game deadlocked at four in the 13th inning, and Mark Reynolds – who also hit his first homer of the season – added an important insurance run with sacrifice fly. Closer Jim Johnson would get the save, his 8th of the season and Troy Patton (1-0) won in relief. Wei-Yin Chen was shaky, as he went five innings and gave up four runs – three earned. He was not great – but he was not terrible, either. At least he prevented the game from becoming ugly, or a blowout like we have seen in the past with the Orioles up there. Trust me, the Orioles would have probably allowed a big inning to take a place, and find themselves out of the game. For Boston, Jon Lester - who started on the mound - was not as sharp and didn’t dominate the Orioles as he has done in the past (with a record of 14-0). He went six innings and gave up three runs. The defense was very shaky in the first few innings; however, J.J. Hardy made a highlight reel play that resulted in two outs in the eighth inning that could have saved the game for Baltimore. Once again, the Orioles fought all night and showed they are not pushovers. I debated if this team could possibly sustain their level of current play considering the past history and talent level. The return of Miggy? Is Miguel Coming Back to the Orioles Again? When I saw this, I did a double-take; however, this all seems to very, very true. It looks like Miguel Tejada is coming back to Baltimore, or at least to the organization – for a third time! Tejada has maintained that he wanted to get back into the majors, and he was not ready to retire. Well, looks like he is going to get out his ball glove, plus his bat, and try to stage a little comeback with the Birds. From the Orioles.com: The Orioles are closing in on signing veteran infielder Miguel Tejada, who will report to the team's Spring Training facility in Sarasota, Fla., on Monday to take a physical. Orioles executive vice president of baseball operations Dan Duquette said the team received favorable reports about Tejada, who is 37, and he will work out for the foreseeable future in extended spring training. The two sides have not reached a contract agreement, but that's expected as long as Monday's workout and physical go smoothly. It's unclear how long Tejada -- if he officially signs -- would need to be an option for the Major League club or how this affects current third baseman Mark Reynolds. Assuming Tejada passes Monday's physical, the two sides will sit down and agree to terms on a contract situation that is very close, a source told MLB.com. This will be Tejada's third stint with the Baltimore Orioles, having signed as a free agent twice before. He’s well out of his prime, and frankly seemed to have nothing left in the tank with the Giants; I’m surprised someone took a chance on him.